Widely used in bathroom and kitchen to hold the glass board and glass shelf. Rubber gaskets help protecting the glass surface. Single screw tightening, do not need to open holes on the glass. Adjustable screws, suitable for Max. 12.5mm thickness glass. Mounting screws are not included here. View More In Strap Clamps. If you have any questions about this product by Ucland, contact us by completing and submitting the form below. If you are looking for a specif part number, please include it with your message. 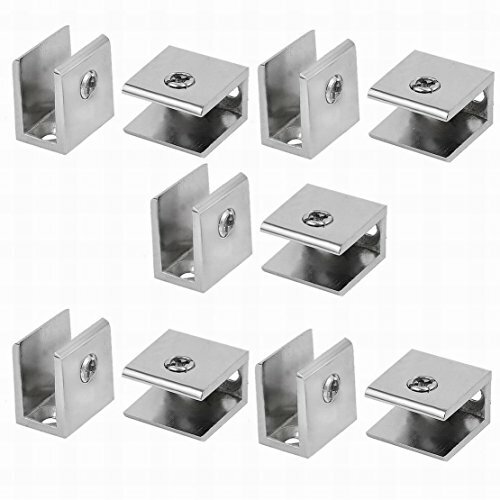 Uxcell Pipe Stainless Steel Hose Tube Clamp Support (5 Piece), 2"